On Wednesday, San Francisco Giants broadcaster Duane Kuiper appeared on Murph & Mac to talk about all things Giants baseball, from Madison Bumgarner’s recent interview to the new acquisition of veteran catcher Stephen Vogt. Aside from the pursuit of young superstar Bryce Harper, Giants executive Farhan Zaidi’s slow-burn algorithm of signing players has led many fans and members of the media to conclude that, unless the Giants sign a marquee name like Harper, this season will be the first in a pseudo-rebuild. While that may sound good on paper, Kuiper commented on the character of the Giants clubhouse, namely Bumgarner, and how the idea of “tanking” would vibe inside that locker room. “He’s not a guy that gives in,” Kuiper said of the former World Series MVP. “One of my favorite moments with him was when Paul Goldschmidt came up, first base was open, and Bruce Bochy informed Bumgarner that we were going to walk him intentionally. You could see Bumgarner’s body language; it was like, ‘Really?’ So they walked him, and as Goldschmidt walked to first, Bumgarner walked closer to the foul line and said to him, ‘That wasn’t my idea.’ That pretty much explains what Bumgarner is all about. 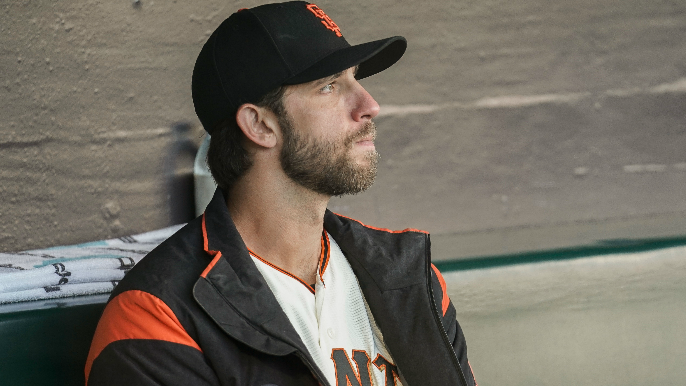 In his first meeting with the press as pitchers and catchers reported on Tuesday, Bumgarner talked about the goal of winning no matter who’s in the locker room, and Kuiper commented on how Bumgarner’s words carry in that clubhouse. Kuiper also commented on the recent signing of Stephen Vogt and the release of Nick Hundley. Hundley was a good dude,” Kuiper said. “I turned around at the Willie McCovey memorial service, and Hundley was there. It was great to see him. He really liked his time here, and I’m sure he was really disappointed he wasn’t able to come back, but it’s the product of an executive that is going after things a little bit differently.